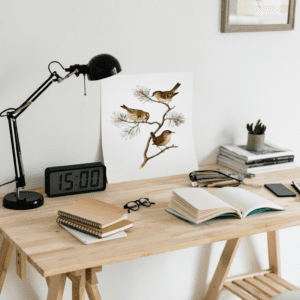 Whether you’re beginning your corporate career or already in the corner office, these five items will help you maximize productivity in your workspace. Whether you’re a coffee, tea, or just plain water kind of person, many of us have cups as a permanent fixture on our desks. A quality coaster will help you avoid harmful water rings and prevent sticky spills, so you can drink in peace. Coasters come in all shapes and sizes, so take care to find a set that compliments your existing décor. Laptops are becoming an increasingly popular choice of computer, because they are light, sleek, and great for working on the go. However, even the biggest laptops have relatively small screens and can lead to strained eyes or headaches if you use them day in and day out. Consider investing in a larger desktop computer, or a monitor you can plug your laptop into. Not only is it easier on your eyes – the extra screen space allows you to get more done without moving documents or closing tabs! Plants and natural elements are a great way to lighten up a room and stimulate creativity. Choose a low-maintenance plant that adds a splash of color and energy, without taking up too much valuable room on your desk. Bonus tip: if you don’t have a green thumb and are worried about keeping your plants alive, go with a convincing fake; your brain will still enjoy the benefits without the undo stress. Everyone is encouraged by something different, but one thing remains the same – we work better when we’re reminded of our ‘why’. Maybe it’s a picture of your family, your framed first dollar, or a quote that has always encouraged you. Remember, less is more; if you cover your desk space in cute sayings or posters, you’ll begin to tune them out and fail to remember the things that truly touch you. Clutter is a killer of productivity, especially in the workplace! Invest in whatever organizational tool you may need, like drawers or shelving, a personal assistant, or a cleaning service that keeps your desk clear. 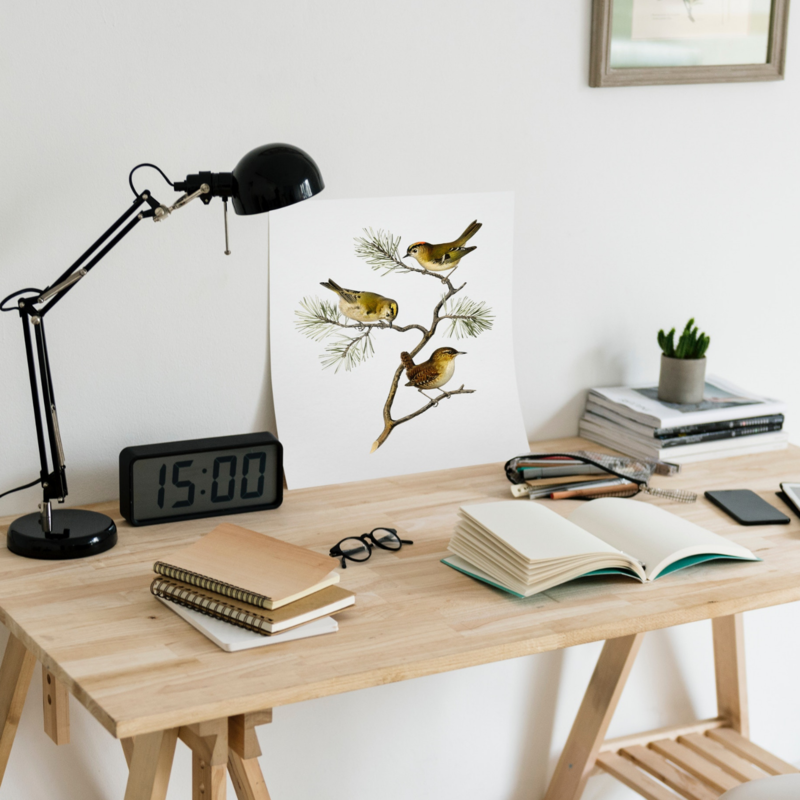 While it may seem difficult to keep up with, the habit of keeping a clean desk is worth the time and extra effort!